For the 'Guy's Nite' my husband is hosting tonight, I prepared baked buffalo wings for them to nosh on. This had to be on the menu per the request of the hubs... so I couldn't ignore how much I know he loves his wings. When it came to finding accompanying dips to serve along with the wings, I new I had to make sure ranch dressing was on the table. It's his favorite dip and salad dressing! Even though it would have been easy to just make a simple ranch dressing dip, I wanted to give it a little kick of flavor. I recently saw the recipe for Jalapeno Ranch Dressing on my friend Niki's blog, Big City Cooking. She's also a fellow Chicago blogger and was inspired to make this recipe after a trip to a Houston restaurant, Chuy's. The recipe caught my eye because it's a perfect dip for buffalo wings and I knew my husband and his friends would enjoy it. 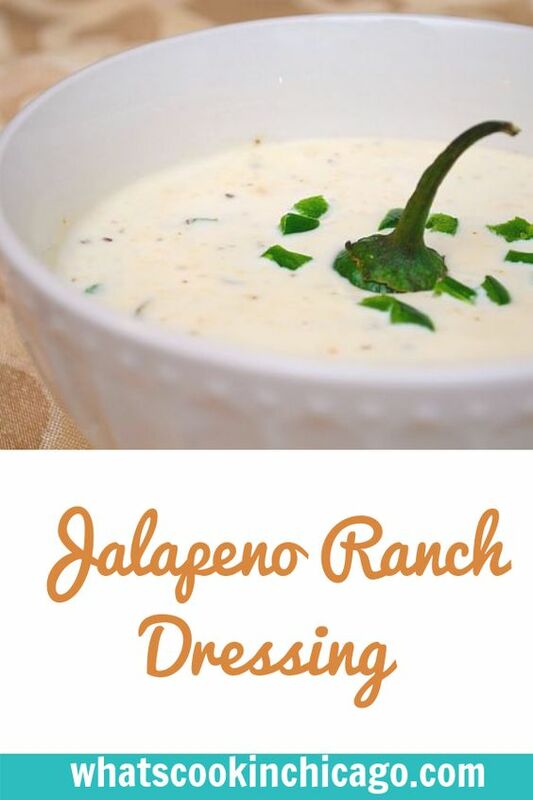 Niki was spot on when she described the amazing flavors of this dip - it's a perfect, creamy combination of spices, herbs, garlic and fresh jalapeno swirled into a traditional ranch dressing! 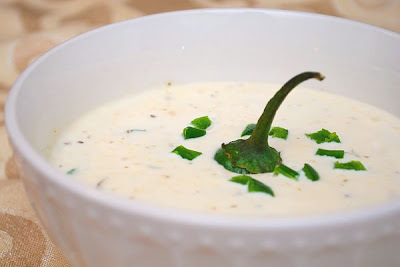 In a bowl combine mayonnaise, sour cream, buttermilk, garlic, jalapeno, thyme, chives, garlic powder and onion powder. Season with salt and pepper. Refrigerate for 30 minutes before serving. I'm with your hubby. 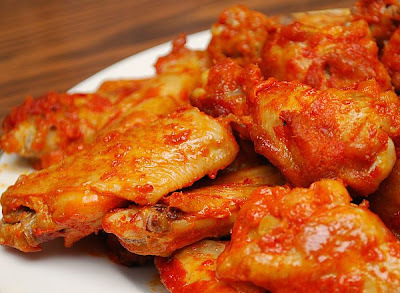 I love wings. This dip look awesome. Perfect for the Super Bowl today! so glad you tried and like the dip!